Of late, Spain has literally and figuratively uncovered its rich medieval Jewish history. Much seemingly by accident during construction, ancient tombstones, mikvahs and synagogues have been found. Doorposts with the markings of mezuzot are now proudly shown with placards. 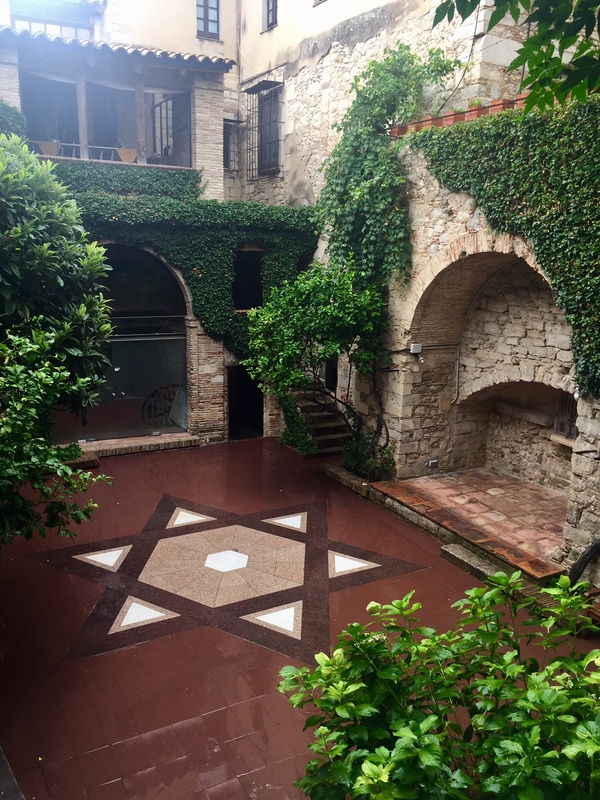 At the site of a mikvah in Girona is now the Jewish Museum, whose exhibits were partly an introduction to Judaism for tourists and a thorough examination of the Inquisition. 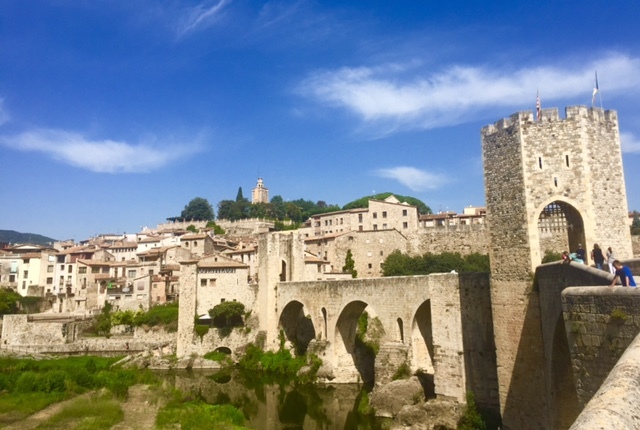 Walking atop the city walls of Girona offered me a birds eye view into the physical manifestation of the Jewish ghetto, which was buttressed against the city’s massive imposing Catholic cathedral and the leading role it played in destroying the Jewish community. 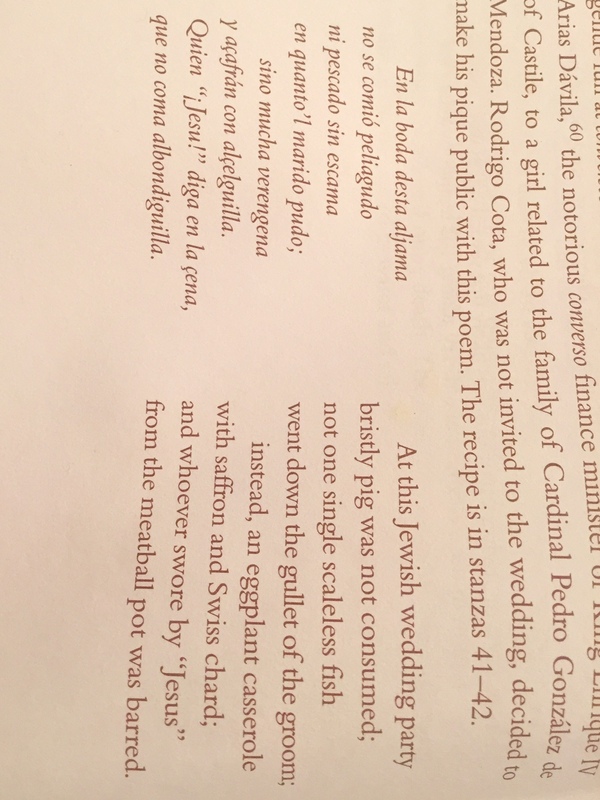 During my time in Girona and Besalu (another spectacular medieval town that was 20-25% Jewish until they left the town in 1436, where I visited its 12th century mikvah that was found in 1964 and the adjacent synagogue discovered 10 year ago), I read the translation of “The Disputation of Barcelona” which was a public debate between the Ramban and a Jewish convert to Catholicism, Father Pablo Christiani, held in 1263 before King James of Aragon at the Royal Palace, about whether Jesus is the Messiah and questions about the legitimacy of Judaism. It is offensive and obnoxious, though at times I found myself cheering the Ramban for his brilliant, eloquent, clever responses. The Church claimed it won the debate and the Ramban left Aragon forever and moved to Jerusalem. While Catalonia (or at least the tourism boards) now promotes and honors its medieval Jewish history, it appears that the country has done little (or perhaps nothing) to address its role in the Holocaust. I traveled up from Girona along the spectacular Catalan coast to Portbou, the site of a memorial for the Jewish philosopher Walter Benjamin. Fleeing the Nazis, through a treacherous hike in the Pyrnees from France to Spain, he was arrested and placed in a Spanish prison, where he eventually killed himself. It is a powerful, somber monument on a seaside cliff overlooking the town, that appears to me like a rusted train car rammed into the ground at an angle, with a long narrow stairway inside that seemingly disappears into the sea water below. What’s more remarkable about it, is that it’s the only Holocaust memorial in the nation (and not even identified as such). 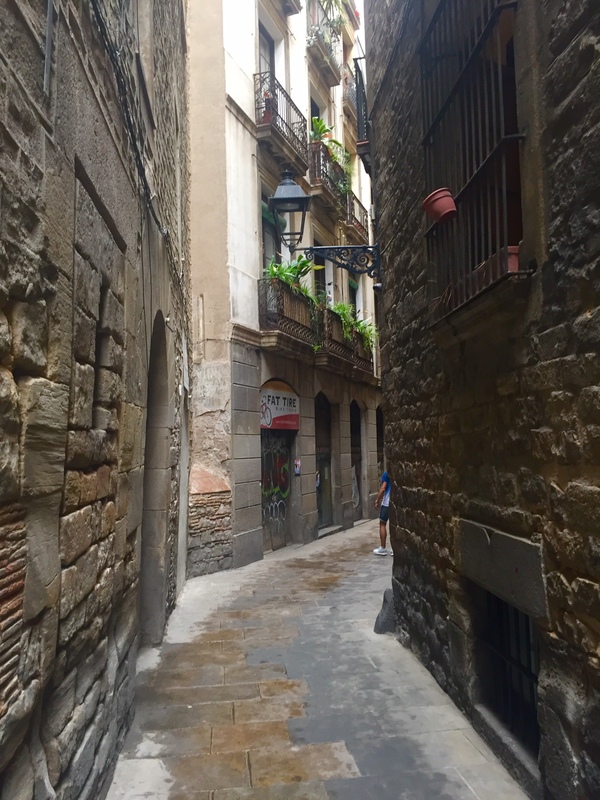 It was a conundrum because I could reflect upon the beautiful, rich Jewish community that had existed here and celebrate Shabbat (there are now tiny communities in both Barcelona and Girona), while simultaneously holding the devastating Spanish Jewish history. 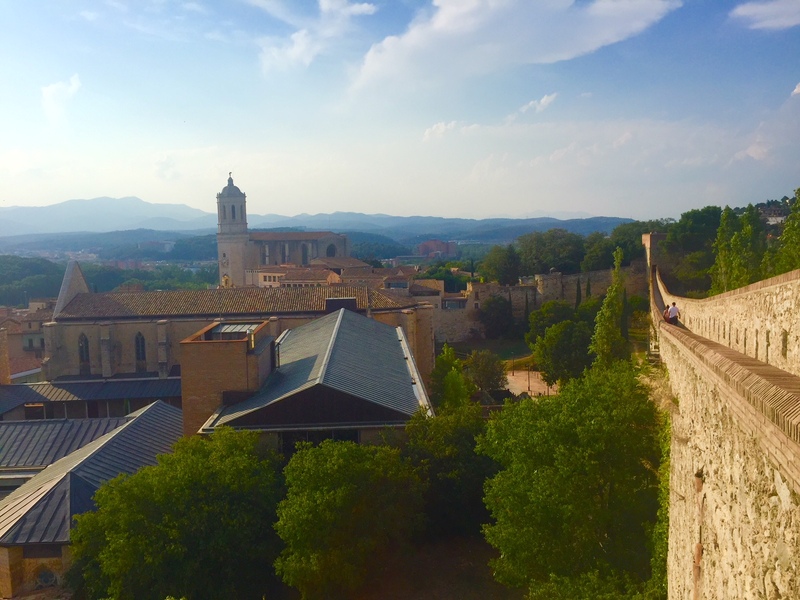 Atop a city wall in Girona, with the city’s cathedral in the background. 1. Peel the eggplant and cut into 1/4 inch slices. Soak for 30 minutes in salted cold water (2 tbsp salt, 3 cups water). Rinse thoroughly and press out as much liquid as possible. 2. 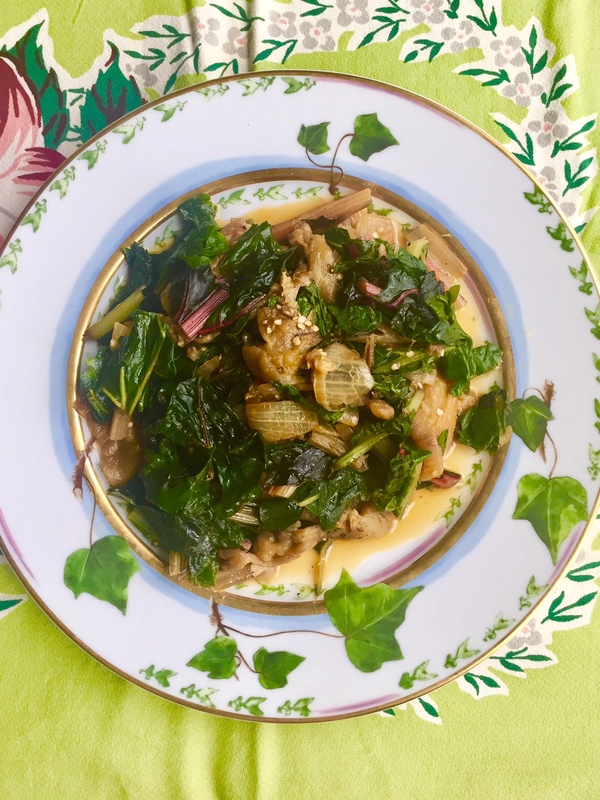 Wash the chard and cut the stalks into one inch pieces and the leaves, chopped (keep leaves and stalks separate). 3. Heat the olive oil and saffron in a large frying pan over low heat for about 5 minutes. 4. Add the onion and chard stalks and saute for about 10 minutes at medium-low heat. If they start to brown, add some broth or water to prevent sticking. 5. Add the eggplant slices. Add the water/broth and bring to a boil for 8 minutes. Lower the heat and simmer for about 15 minutes. 6. Add the chard (you might need to add some more broth or water to prevent sticking. Some excess liquid is good). Cook the chard for about 5 minutes. 7. Add salt and pepper to taste. Serve warm. 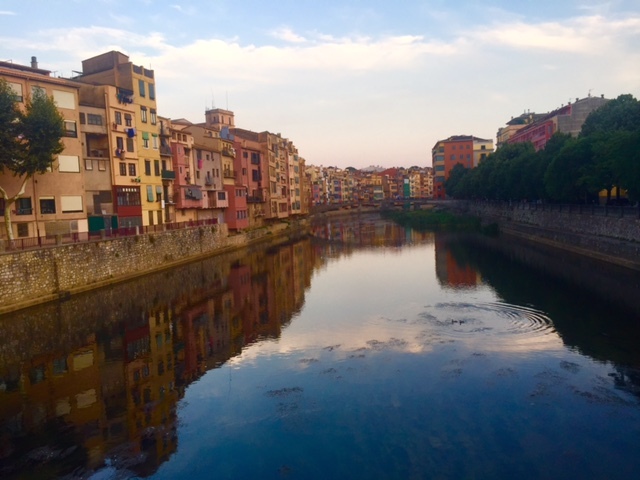 This entry was posted in Side dish, Travel, vegetable and tagged Barcelona, Besalu, Catalonia, conversos, cooking, food, Girona, Inquisition, Jewish, Kabbalists, Sephardic by Sarah Newman. Bookmark the permalink. Awww thank you 🙂 Agreed about eggplant-the cookbook had lots of such fascinating bits of culinary history. And I hope you do enjoy the recipe.